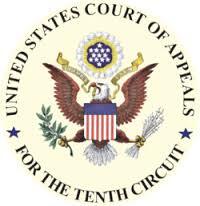 Last month in Ninth Circuit Endorses Gaming of Class Action Fairness Act & Creates Circuit Split, we discussed the U.S. Court of Appeals for the Ninth Circuit’s decision in Romo v. Teva Pharmaceuticals USA, Inc.. The two-judge majority in that case allowed plaintiffs’ lawyers to divide their 1,500 clients into groups of less than 100 for the sole purpose of evading the Class Action Fairness Act’s (CAFA) dictate that such mass actions be removed to federal court. Thanks to an October 18 ruling from the Western District of Oklahoma, the Tenth Circuit will be the next venue to consider this CAFA circumvention strategy. In Halliburton et al. v. Johnson & Johnson et al., Federal District Court Judge Tim Leonard ordered the remand of eleven essentially identical cases to Oklahoma state court. Each case alleged the same violations of Oklahoma state law and featured at least one Oklahoma and one New Jersey plaintiff. Each suit was filed by the same lawyers in front of the same state judge. Before Judge Leonard, the defendants argued that the plaintiffs’ act of filing their 11 suits in a one-judge county court reflected their intention that the cases be tried jointly. Johnson & Johnson also argued that the judge should give no weight to the plaintiffs’ declaration that no two suits would be tried jointly. The defendants further urged Judge Leonard to sever the claims of the New Jersey plaintiffs as they were fraudulently joined for the purpose of defeating diversity jurisdiction (Johnson & Johnson is a New Jersey company). Judge Leonard rejected each of the defendants arguments and ordered the 11 suits remanded to the state judge. On October 28, Johnson & Johnson filed a permission to appeal the District Court’s decision to the Tenth Circuit. Under CAFA, the appeals court must accept or deny the defendant’s permission to appeal within ten days. On a related note, the defendants in Romo v. Teva have sought rehearing en banc in the Ninth Circuit. WLF has filed an amicus brief supporting their arguments. WLF Legal Opinion Letter, by Victor E. Schwartz, Co-Chairman, and Cary Silverman, Counsel, of the Washington, D.C.-based Public Policy Group of Shook, Hardy & Bacon L.L.P.